Bug Sweep TSCM – What’s Involved In This Type Of Counter Surveillance? Counter surveillance involves taking action to stop an individual or group of individuals from gathering information about a person or business. It can take many forms and use a range of equipment, depending on the specifics of the individual case. One such form involves bug sweep TSCM. A bug sweep that involves technical surveillance counter measures is used when a person or company believes they are being watched or listened to using electronic devices. These devices may include transmitters, cameras, and audio recording devices. They can be hidden almost anywhere from a plant pot to the edge of a mirror in a bathroom. Interrupting the signals, finding the devices, and removing them needs to be swiftly and without alerting the person collecting the information. Failure to do this could put the victim at further risk. To achieve this, the private investigator from a TSCM service will contact the victim of the bugging away from the affected area and discuss the problem at length. This will give them the best possible chance of having the right equipment for the task. The counter surveillance operative may then choose to use a signal to jam or disrupt the devices to enable them to visually sweep the house without raising too much suspicion. Following this, a range of equipment, including radio frequency receivers and devices that look for magnetic fields, will be used to sweep for signals. The devices require proper training to be used to full effect. Undertaking a bug sweep TSCM is no easy thing, it takes years of dedication to be able to perfect the service. You will find this level of dedication in the team at Advanced Sweeping. 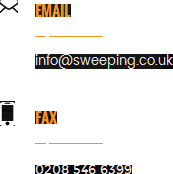 If you think you need our services, then call now on 0845 512 1552 or visit us online at http://sweeping.co.uk/. Don’t delay, the sooner you make contact, the sooner we can get started.